Event: khimki-m - sokol s.
The introduction of online betting has allowed many new betting markets to develop. One of the most popular betting markets is double chance betting. A double chance football bet effectively gives you more chance of winning a bet but exactly how does it work? 4. Where can you place a Double Chance bets? 5. Where can you find accurate Double Chance predictions? 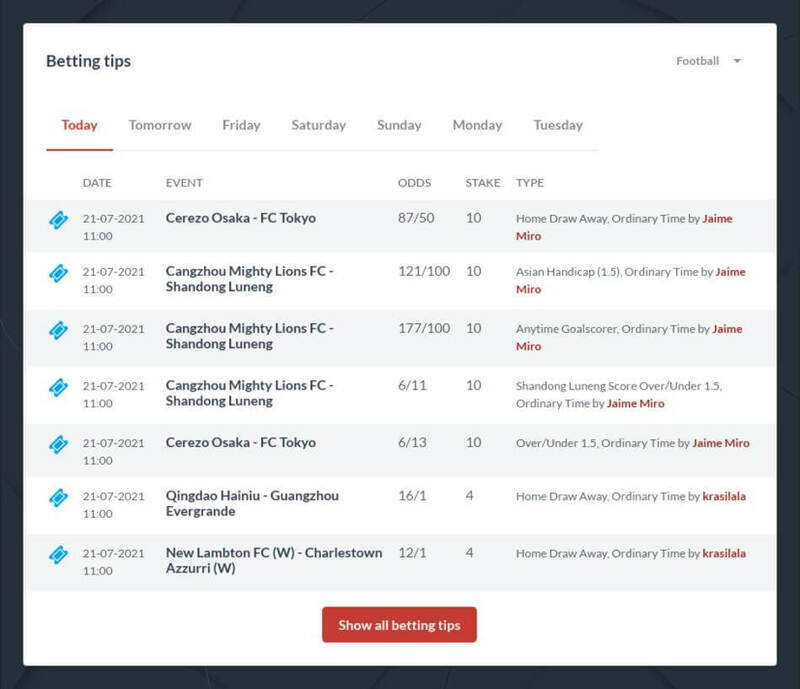 Double chance football betting is one of the top betting markets for football and allows you to cover two of the three outcomes in a football match. If Real Madrid are playing Barcelona for example, you have three options, a home win, away win or a draw. When placing a double chance football bet you can choose two of these three options instead of one. You can choose home or draw, away or draw or home and away. So, using the example above, if you choose home and draw and Real Madrid win or the game is level you win the bet. If you choose away or draw and Barcelona win or the game is level you win the bet and if you choose home or away, you need to avoid a draw to win the bet. It’s as easy as that and it’s the simplicity of double chance that many people like. Equally simple and popular bet is Both Teams To Score, check it out. Why would you choose to place a double chance soccer bet over other betting options available? Firstly, you have an increased chance of winning a double chance bet compared to picking one option from the full-time result market. Double chance odds may not be as good as choosing an outright winner but you have a significantly betting chance of winning. Double chance betting is also a good way to back an outsider to win a match. If you fancy an outsider, such as Levante to defeat a team like Barcelona, you can use the double chance to back both Levante and the draw. Even if the team does not quite pull off the upset win, a draw is still enough to win the bet and the odds will remain good. When making double chance picks, there are two ways to look at the potential outcome. You can back a favourite to win or draw. Your odds will be much lower than selecting the team to win outright but if they happen to have an off day, you will be covered for a draw. However, the real value of a double chance bet is betting on the underdog. Most double chance betting tips will be using the underdog to make a profit. If Barcelona have a big Champions League match in mid-week, such as a semi-final, they may rest key players on the weekend in La Liga. Barcelona’s odds to win the game will not change much but their chances of dropping points has significantly increased as their attention is elsewhere. Backing the underdog with a double chance bet makes senses here and the odds will remain tempting. Don't miss our article with about Correct Score betting . You can find double chance odds at many of the top online bookmakers including Bet365 , 1xBet and William Hill . Football matches are by far the most popular for double chance soccer betting and you can find sure double chance bets here at Johnnybet. Free double chance football tips can be found on our website in the Tips of the day section . All you need to do is choose the Football category, then specify the date and league of your interest and that's it! Our recommendation is to check the picks within 24h before the matches since they're the most accurate. So... don't waste your time and search for double chance tips today!